A new addition to the NUMERO catalog with 7 previously unissued tracks, in addition to 13 other related tracks from the rare vintage soul labels SOLID SOUL, SUN CUT, REEDSVILLE, LLOYD, and CONCHO labels, as well as four LP-only bonus cuts. Following a path blazed in Belize and the Bahamas, The Numero Group finds yet another stop on the soul diaspora tour: Dimona, Israel. Between 1975-1981, a group of American ex-pats took their native sounds of Detroit and Chicago and intermingled them with the messages of the Black Hebrew culture. The results are a heavenly mix of spiritual soul and jazz with an undercurrent of gospel psychedelia. Featuring the Soul Messengers, the Spirit Of Israel, Sons Of The Kingdom, and the Tonistics, Soul Messages From Dimona is the only living document of a thriving community at both the center and fringe of the world. 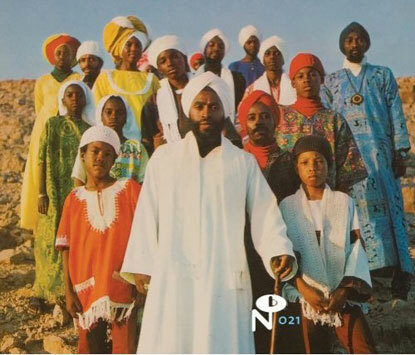 Deluxe CD and 2LP set comes stuffed with rare photographs, sleeves, and expansive liner notes about the African Hebrew Israelites journey from the sounds of slavery to the intonations of liberty.